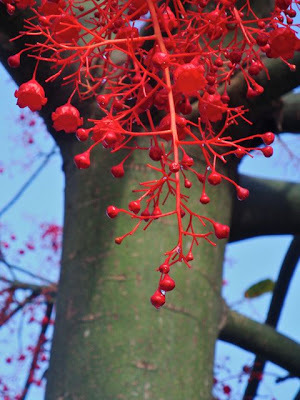 The Flame Tree, ( Brachichiton Acerifolous) native to Australia. The Jacaranda Tree imported from South America. That is the most vibrant red of anything I've ever seen. It must be beautiful to see in person. 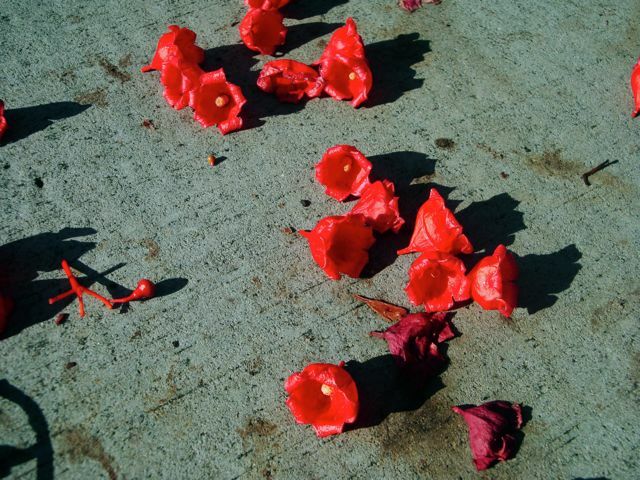 I like the shot you captured of the petals on the walkway. I'm assuming like our spring blossoms these all drop rather quickly. I'd love to see a row of the red and purple together - that would be stunning. Your last shot is beautiful! 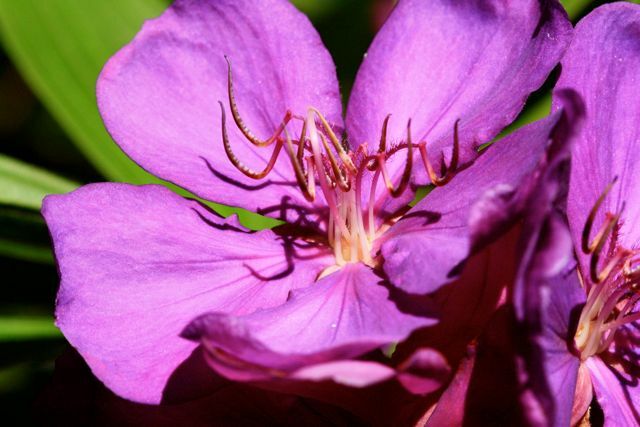 Beautiful flowers and great photos! The flame tree flowers are such a beautiful red. I've had a hard time commenting on some blogs lately, so since blogger is working a little better tonight, I'll comment here about your "Holidays 1959 Style" post...which I loved. Your vintage photos and your comments on them are always my favorite!! 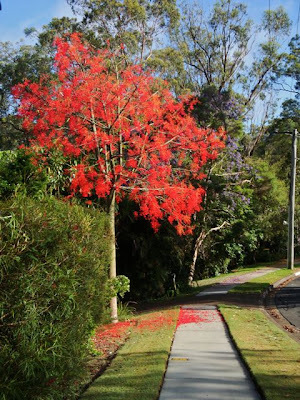 The Flame Trees are striking aren't they. I particularly like your 3rd photo showing the contrast of the tree against the blue sky ... you captured that really well!! 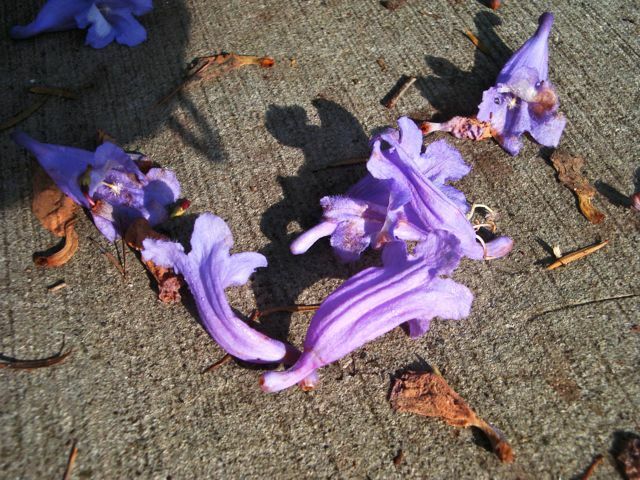 That last tree flower looks like what Sallie from Florida put up recently. They must be sub-tropical and tropical, I am sure I have seen them up in Cairns and in PNG. The other two, very pretty indeed, but best only in parks, they make a terrible mess of drains. Diane, these trees and blossoms are gorgeous. I love both the Flame Tree and the Jacaranda. The shot with the flame tree and the blue shot is my favorite. Wonderful photos. I hope you are having a great weekend! I love this flame tree ! that would look sooooo beautiful in our garden ! That is flaming red, never seen this one before. 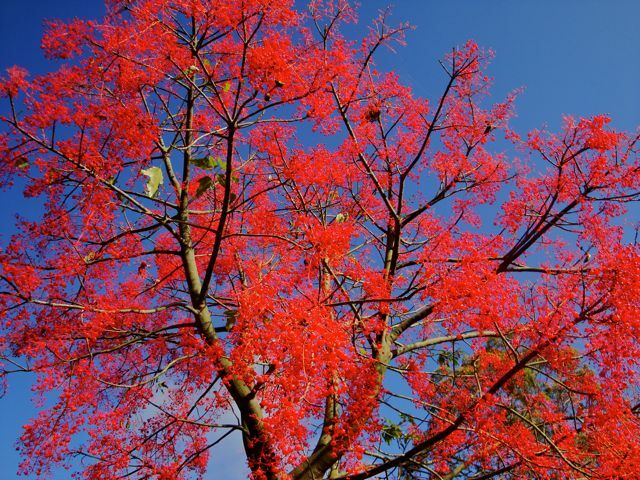 wow, we have a flame tree in Selby gardens, it is gorgeous just like this one. and we have the jacrandas but not the other tree. your climate is so much like ours. Stunning shots - love love LOVE the red ones! Posters, all of them! You live in such a beautiful part of the world! thowe trees are gorgeous and remind me of the wonderful flowering trees of Hawaii! Those are lovely trees and so vibrant! Love all that red! 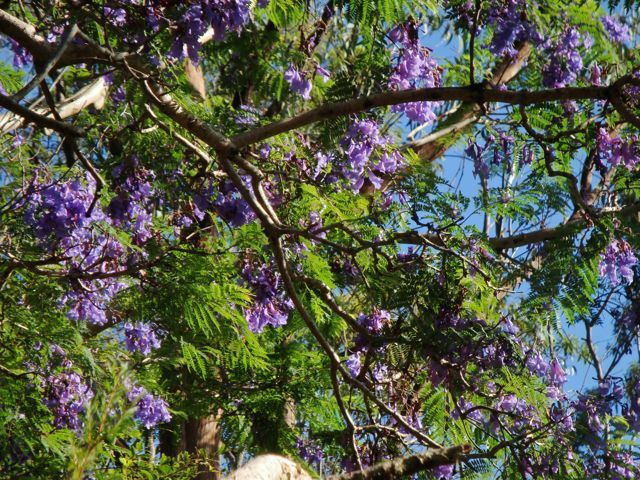 And, of course, the beautiful Jacaranda. Ours will be blooming in May here. The trees with the red flowers are amazing. PS We have a tree in "our" subtropics here called a Royal Poinciana that people also call a "flame tree". 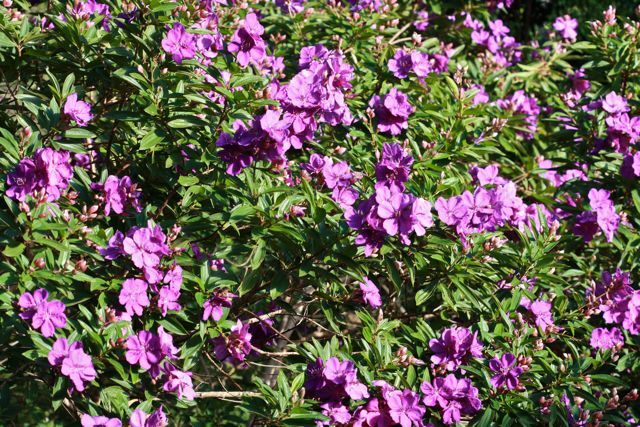 It blooms in late Spring. Oh, so beautiful! The colors against the blue sky---wonderful! Gorgeous knock-out colours Diane. Am always partial to purple, however, the reds in the first lot of pics are wonderful too. Sallie yes we have poincianas too. I used to walk under a beautiful one on my daily walk but kept forgetting my camera. They have stopped flowering now. Oh wow, that Flame tree is stunning. Even our Japanese maples can't match that color. You may not have a lot of trees with leaves that change in the autumn months but you certainly have spectacular colors. Very, very beautiful! I love trees did you Know? OH, how I LOVE these! They remind me of my childhood days in Brazil. Jacaranda and Tibouchina (Lenten Tree) grew all over the place. They lined a lot of the city streets, and grew wild out in the countryside too. What stunning colours. Worthy of a David Hockney painting! That RED Flame tree just takes your breath away, doesn't it?! Gorgeous flowers Diane, the Flame Tree must be a sight to see in full bloom like that. I have seen the Jacaranda in this country but the Flame Tree and the Tibouchina Tree is new to me.